Our beautiful hotel boasts a range of accommodation to suit your requirements including our self contained holiday villa for up to 8 people, immaculate, air conditioned rooms with river views, and family rooms with double sofa beds. For any questions and to make a reservation please get in touch. 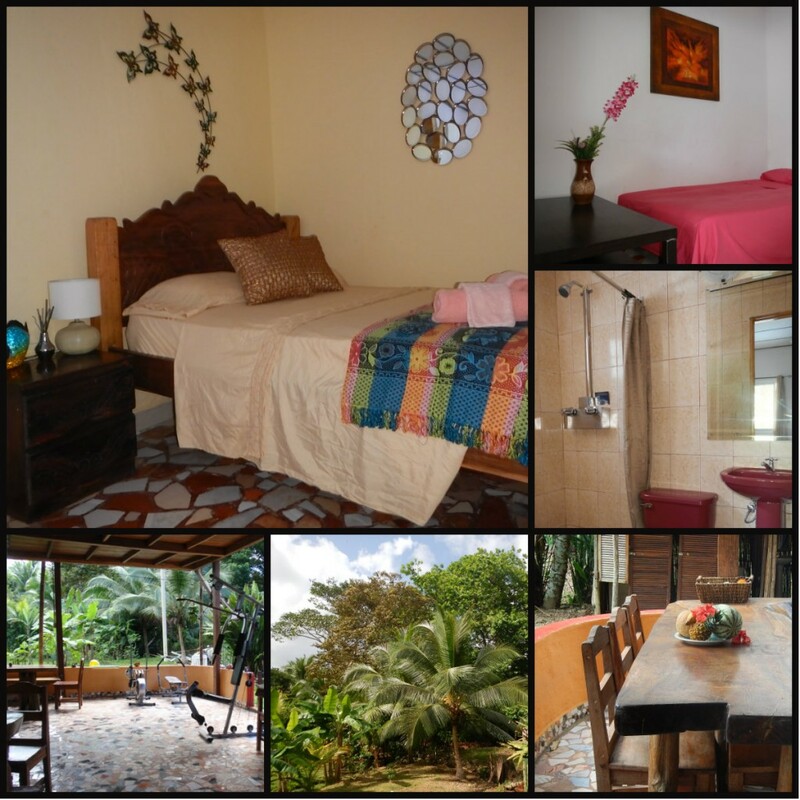 Casa Manu is the perfect place for a family vacation or a relaxed getaway for two. 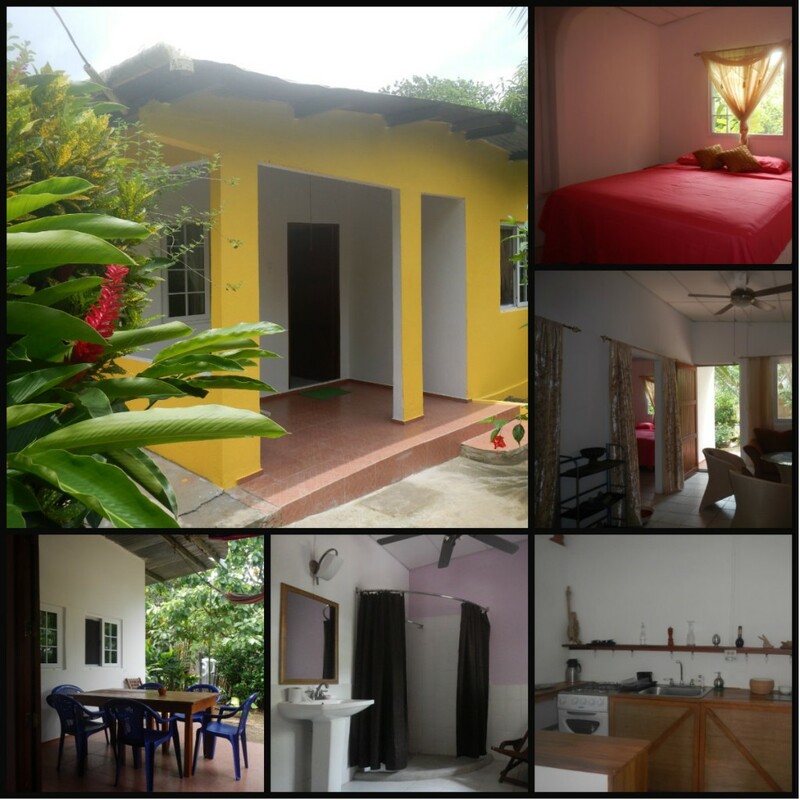 There are 2 bedrooms (one King size one Queen size) and two large sofa beds, a fully equipped kitchen, large bathroom and communal living area. The property also has plenty of outside space so you can cook up a BBQ and enjoy the sun on the covered back terrace. This large suite features its own bathroom with shower, air conditioning, flat screen TV and orthopedic mattress to guarantee you a great night sleep. 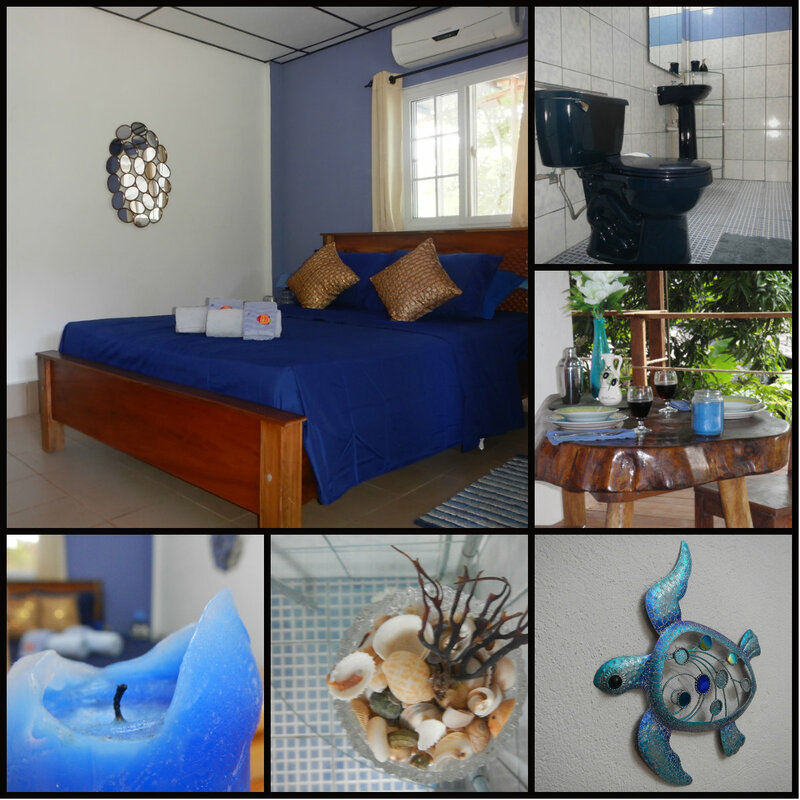 This room has a sofa sleeper suitable for families and will sleep 2 children or 1 adult comfortably. 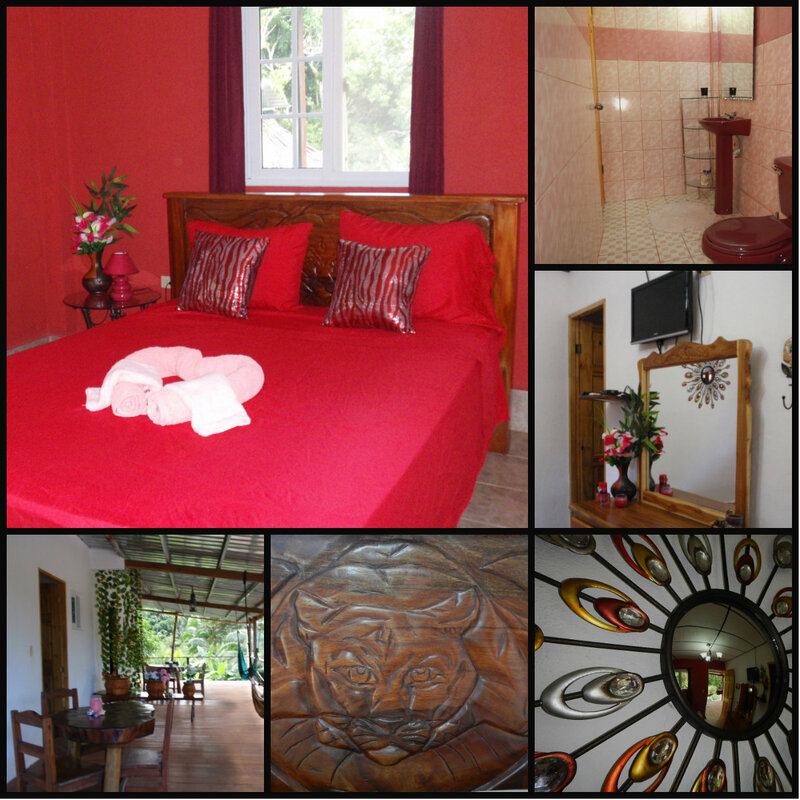 Decorated in the reds of Hibiscus, this luxurious room has an en-suite bathroom with shower, air conditioning, flat screen TV and orthopedic mattress. Relax in a hammock with your morning coffee and watch the river flow through the jungle. Decorated in cool blues this room has its own bathroom with shower, air conditioning, flat screen TV and orthopedic mattress. 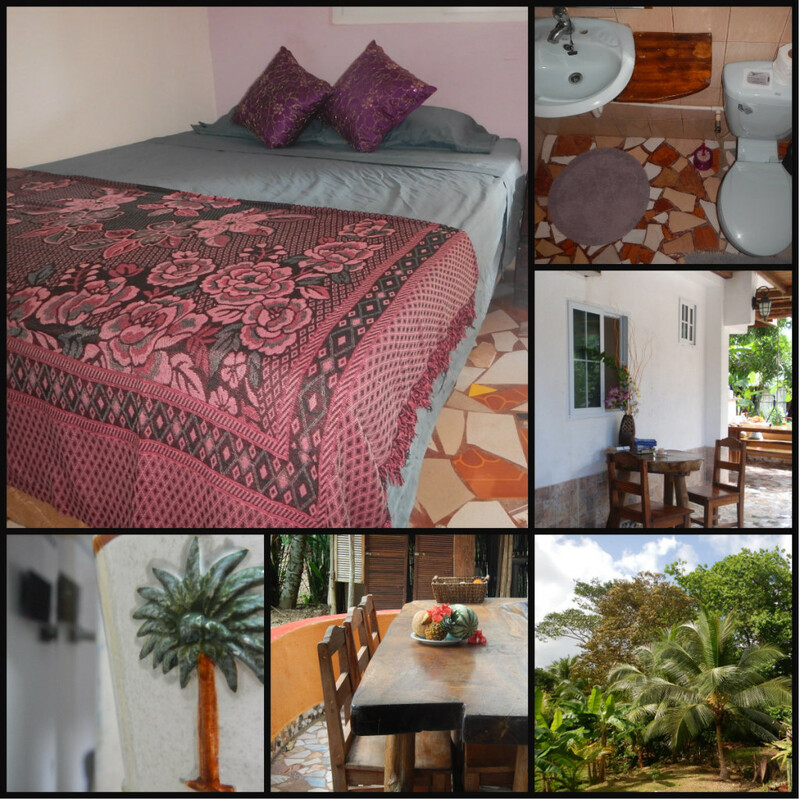 Step out of your room onto our covered balcony and relax in a hammock overlooking the jungle and river. Decorated in browns and beige, this bright corner suite has a bathroom with shower, fan and orthopedic mattress. 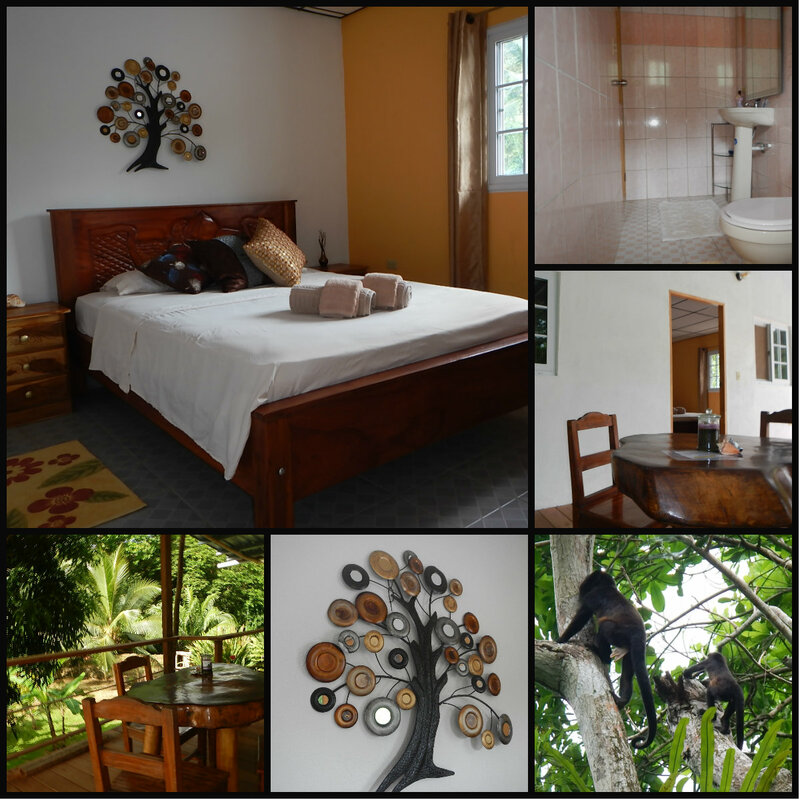 Prepare a meal in the communal kitchen to enjoy on your own hand hewn table on our balcony and watch the monkeys play. 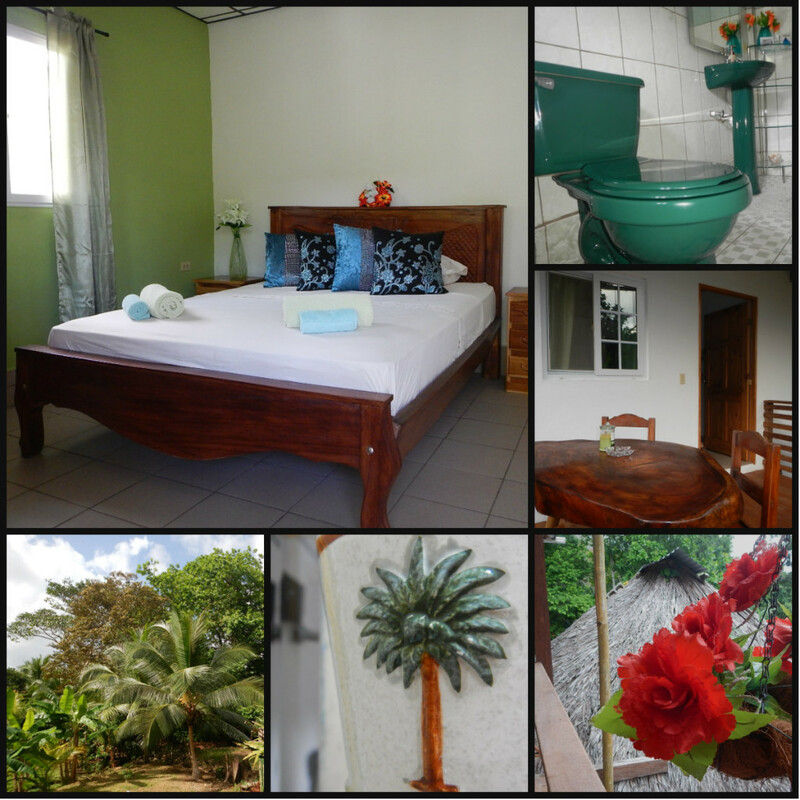 Decorated in lush greens, this bright corner suite has a bathroom with shower, fan and orthopedic mattress. Step out of your room onto our covered balcony and enjoy one of our breakfasts while watching the hummingbirds feed. A cozy smaller room done in autumn colours and leading straight onto the ground floor patio overlooking the river. 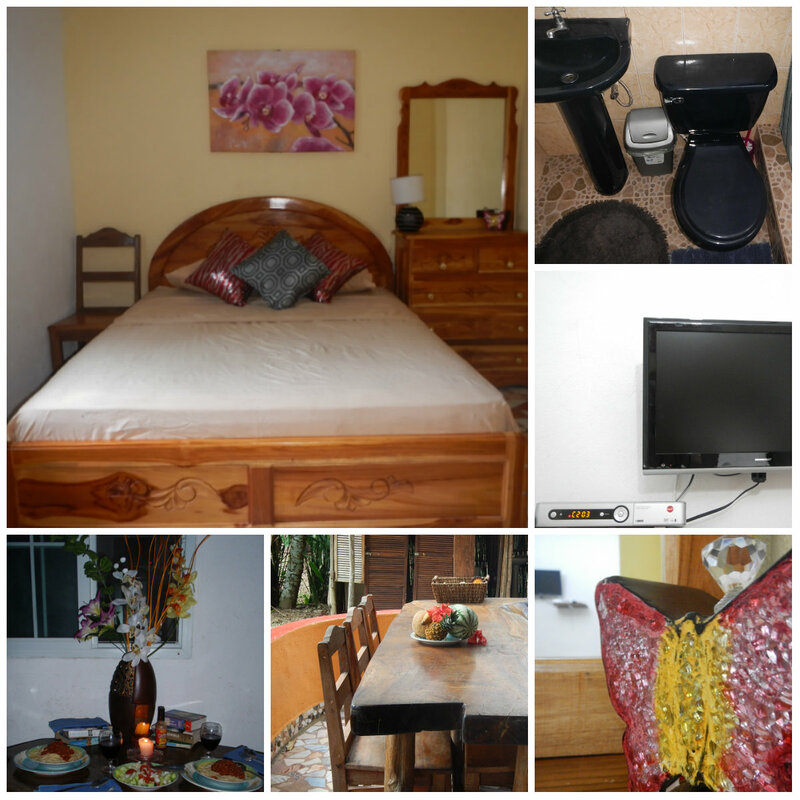 Featuring an orthopedic mattress, en-suite bathroom, flat screen TV, older style of AC and a fan.